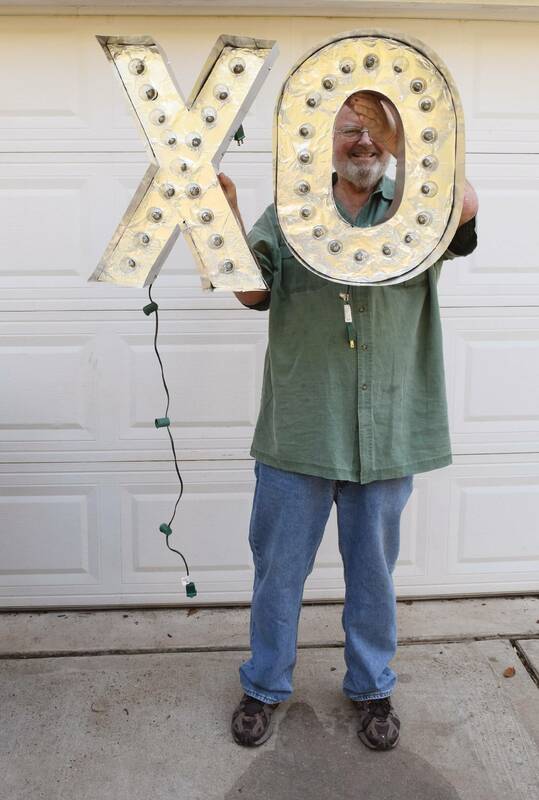 On poster board draw an "X" and an "O". Alternatively you can have very large letters printed at a store like Staples. If you're not terribly tech savvy I've had good luck asking for help there. FYI - ours are 22" tall. 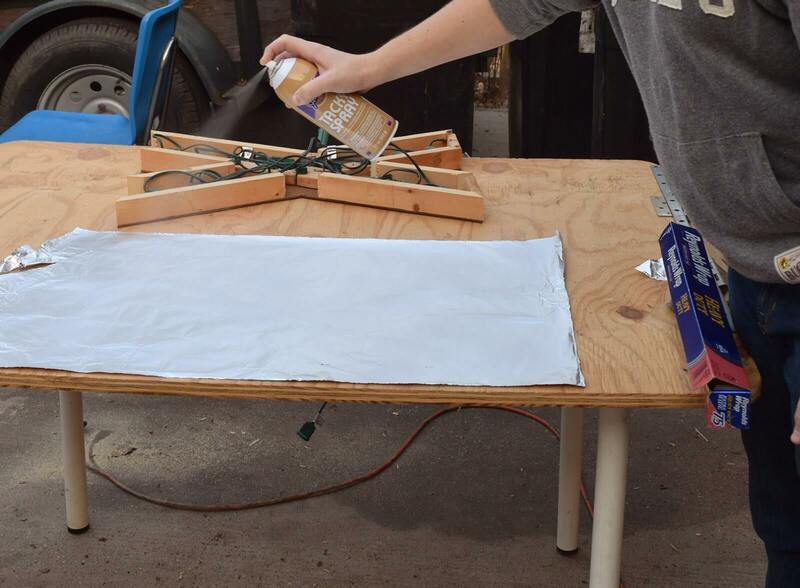 Cut out the letters from your poster board or paper and use as a pattern to trace onto your hardboard. Using a jigsaw cut each letter out slowly and carefully. Quick tip: when cutting out letters like an "O" with the opening inside you'll first need to drill a pilot hole near your cut line. 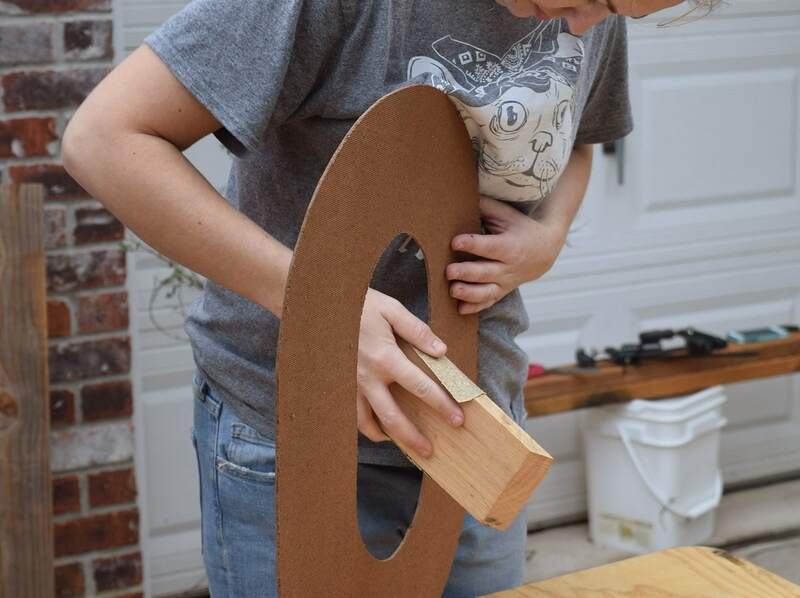 Use this hole to get your jigsaw in to make that center cut. Sand down the rough edges of each letter. 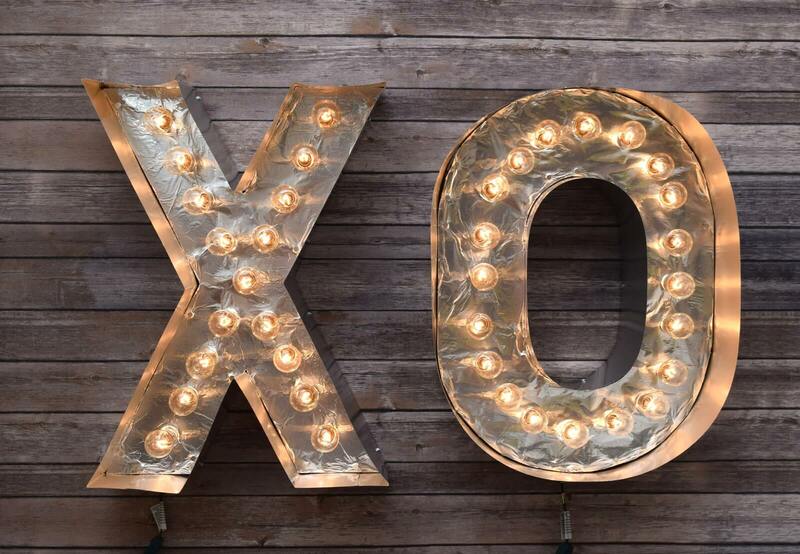 Decide where you want your lights to go on your letters and mark accordingly. On your 1x2" furring strips mirror this placement. 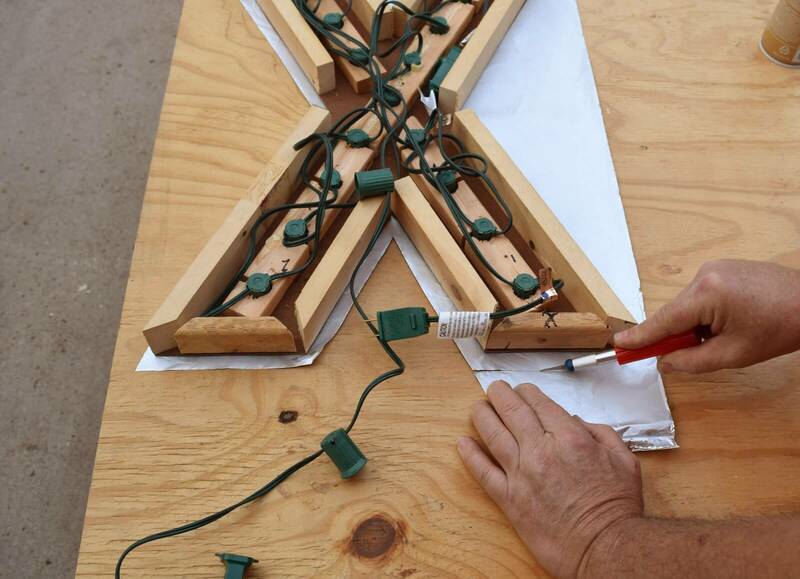 These strips will hold the lights themselves and give support to the letters. 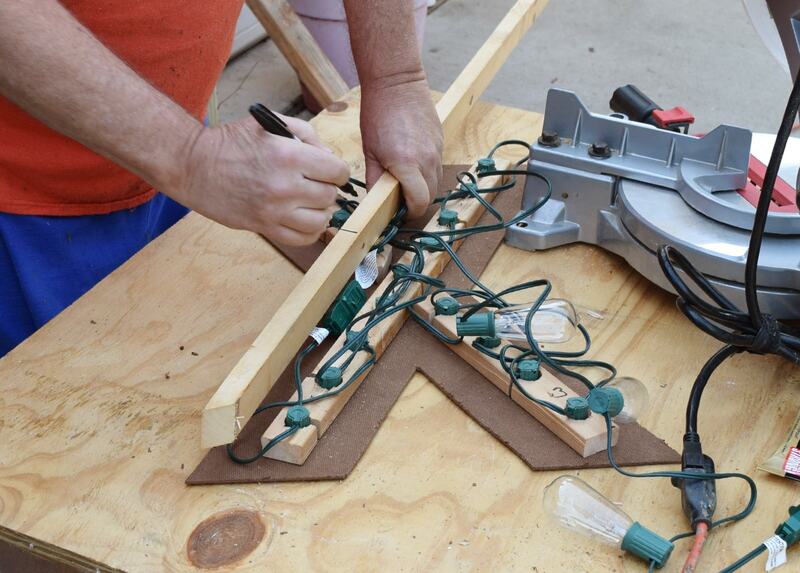 Cut your light strips to fit on each letter and begin drilling holes the appropriate size for your lights. 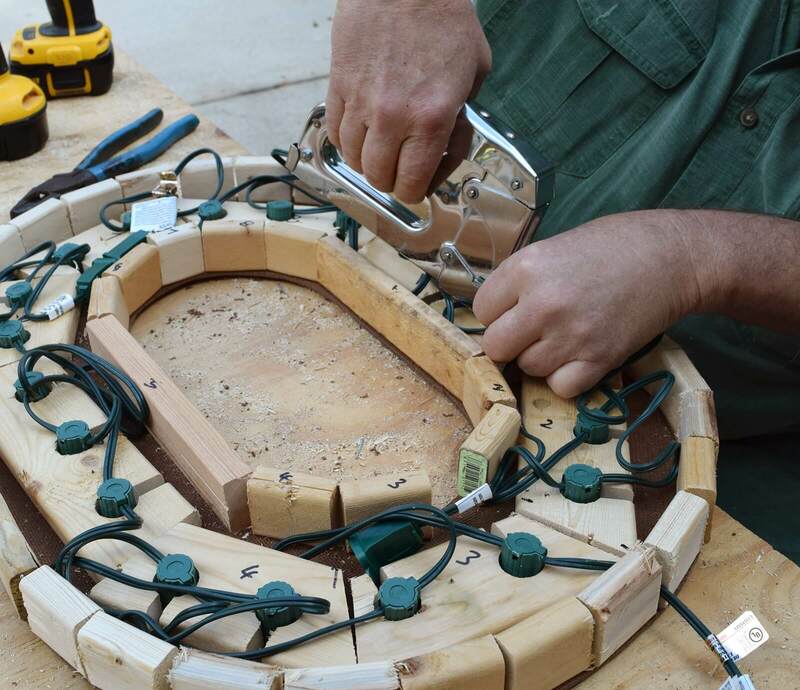 Cut a notch in each hole to be able to make the lights a tighter fit and make wrangling the cords attached to each easier. Be sure to alternate the direction to help maintain as much integrity of the wood as possible. 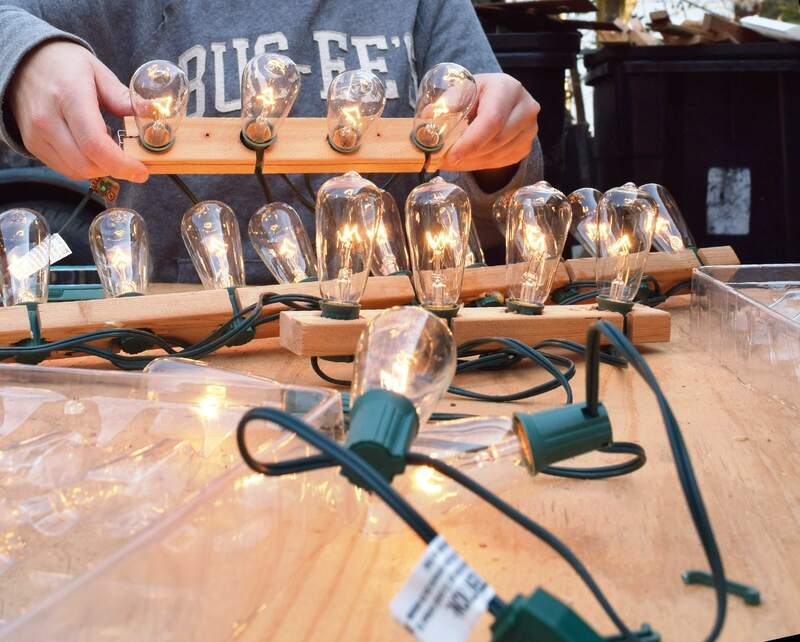 Once all of your lights are in place test to make sure they all still work. We're good to go. 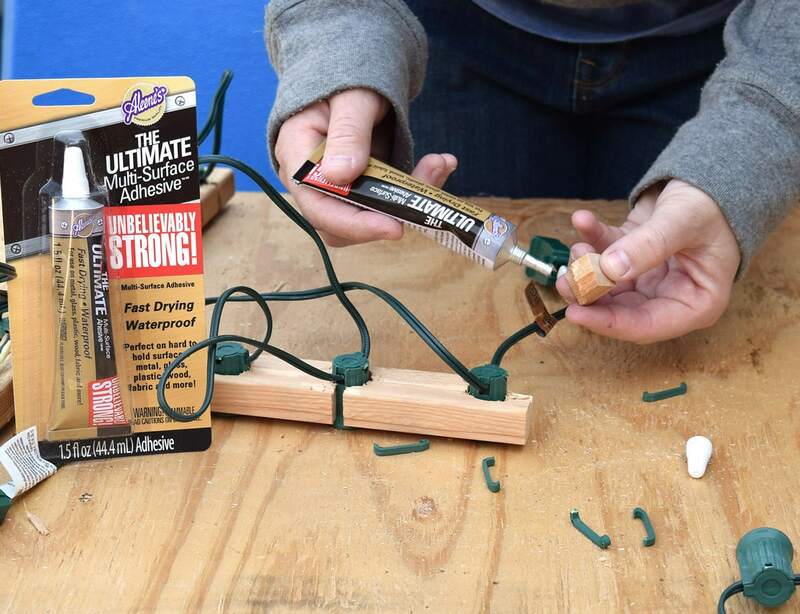 Using The Ultimate glue your lights. 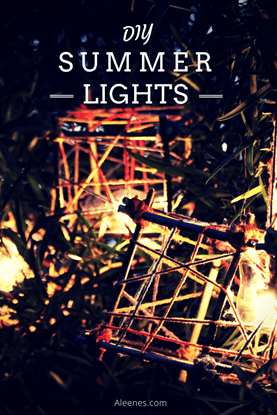 It may be necessary to pull the brackets off of each light as you go. Our wood was old and dry so it would often split. 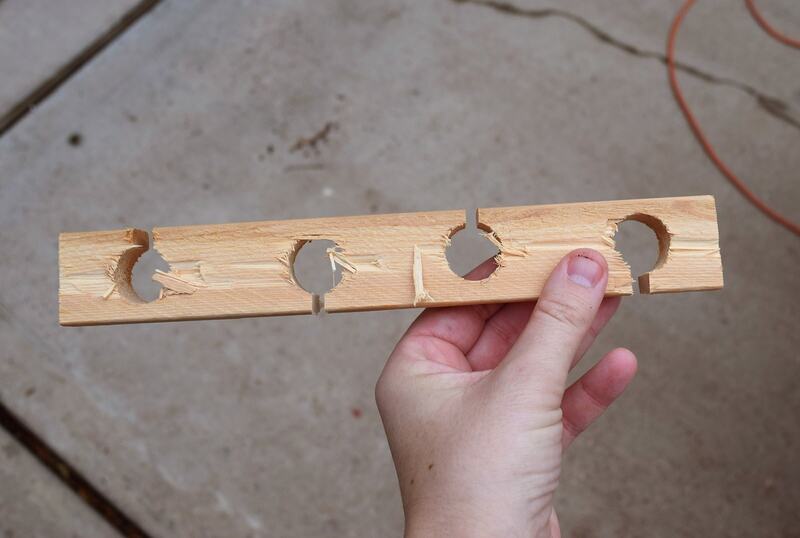 If you have this problem the Ultimate also works well to piece the wood back together. Glue the strips into place making sure light strips align properly with the hardboard holes. Allow some time to dry, a few hours is best. 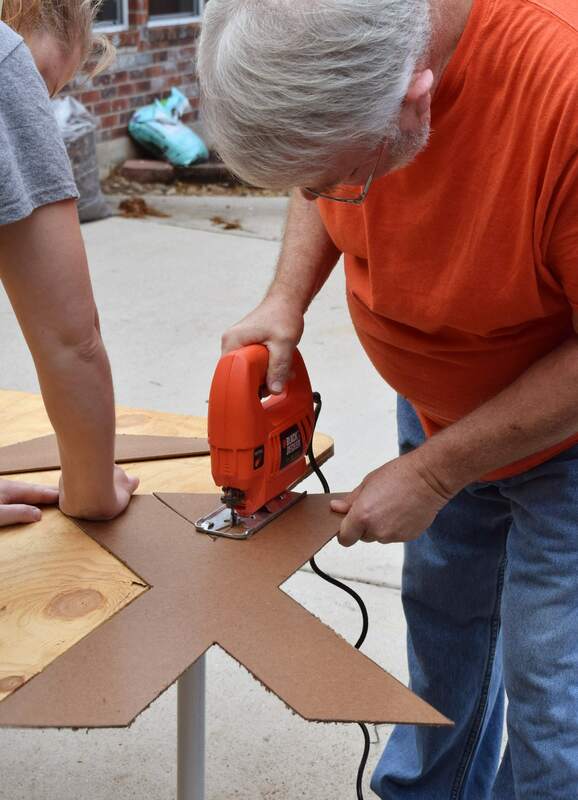 To build a frame for each letter grab your 1x3" wood furring strips and mark accordingly. 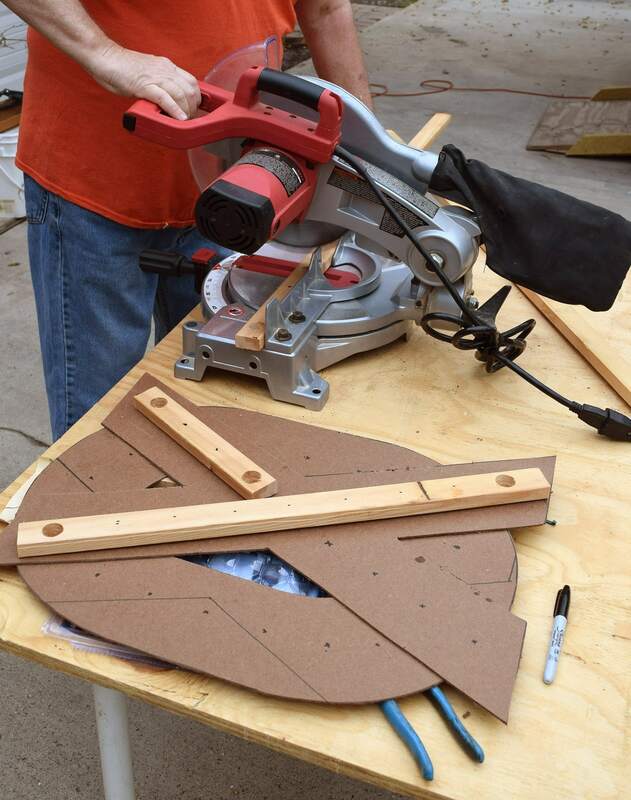 Using your mitre saw or box angle the cuts to fit appropriately if needed. Gaps in this frame are acceptable. 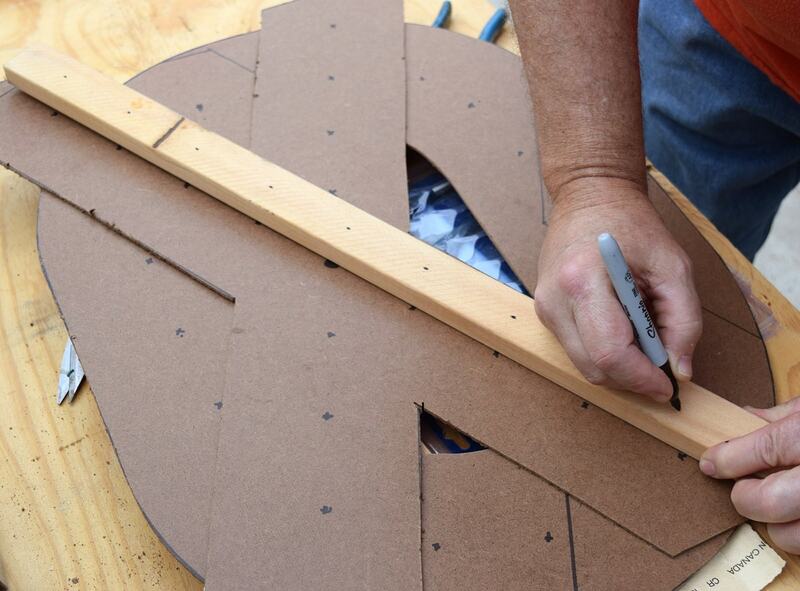 Apply glue to the backside of each support piece and screw into place from the top of the letter. Be sure when working up your support pieces to leave a slot for the cord to plug the lights in easy access out of the each letter. Tack down the light cords as needed to allow the letter to lie flush against your work surface when the hardboard side is facing up. 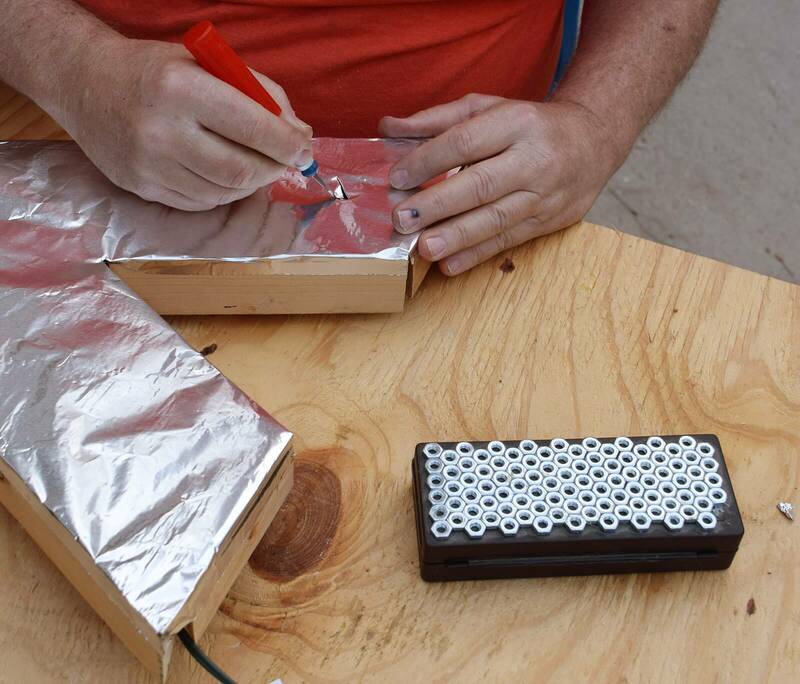 Tear out a piece of aluminum foil that is slightly larger than your letter. 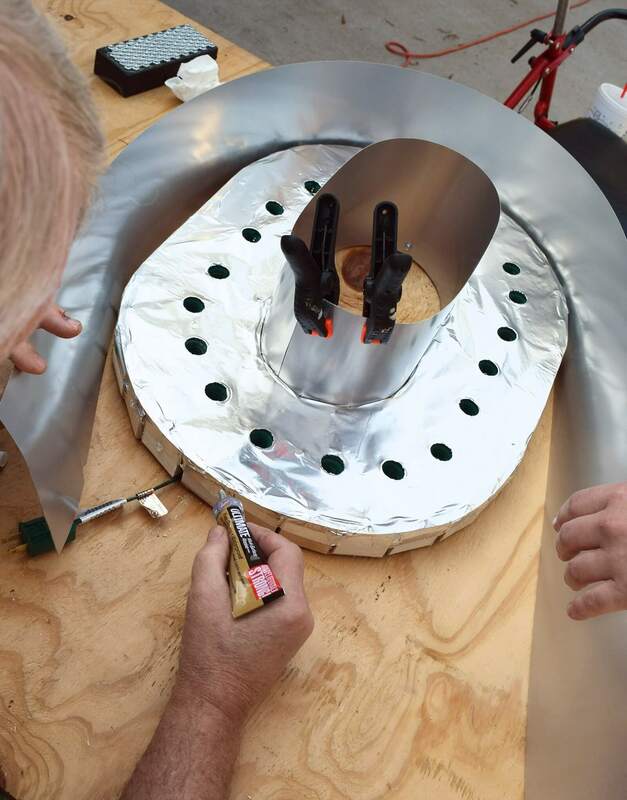 We're using extra wide, heavy duty foil. Spray the backside liberally with Tacky Spray and allow a few moments to become very tacky. 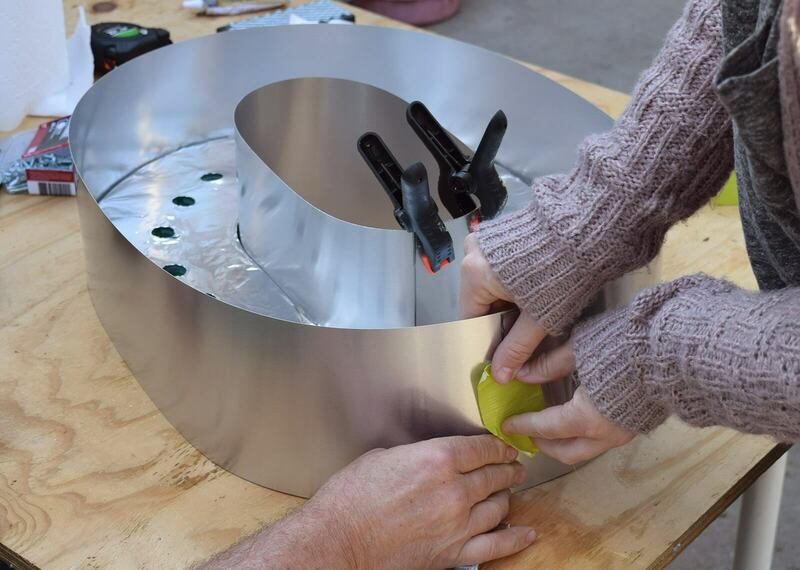 Place the letter, hardboard side down onto the sticky aluminum foil and apply pressure all around to get it to stick very well. Using a craft knife cut approximately .5-1" of foil around the entire letter. Cut darts where needed on corners. 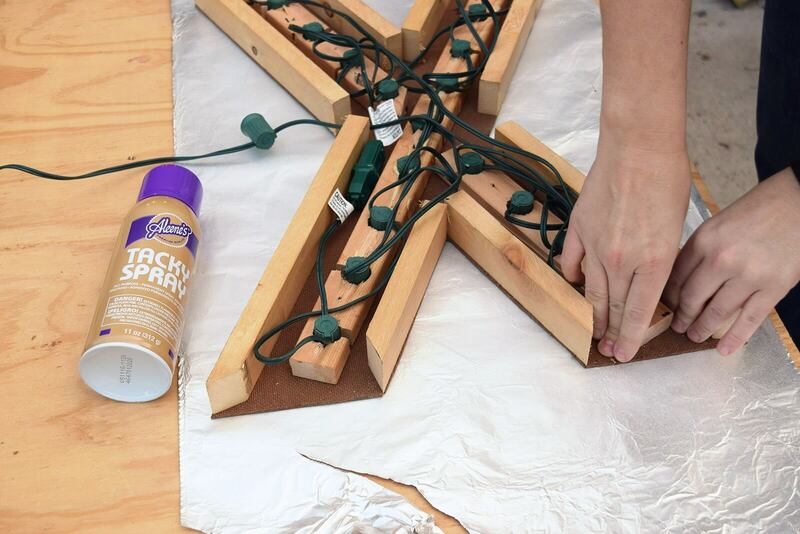 Push the foil onto the edges of the wood frame. 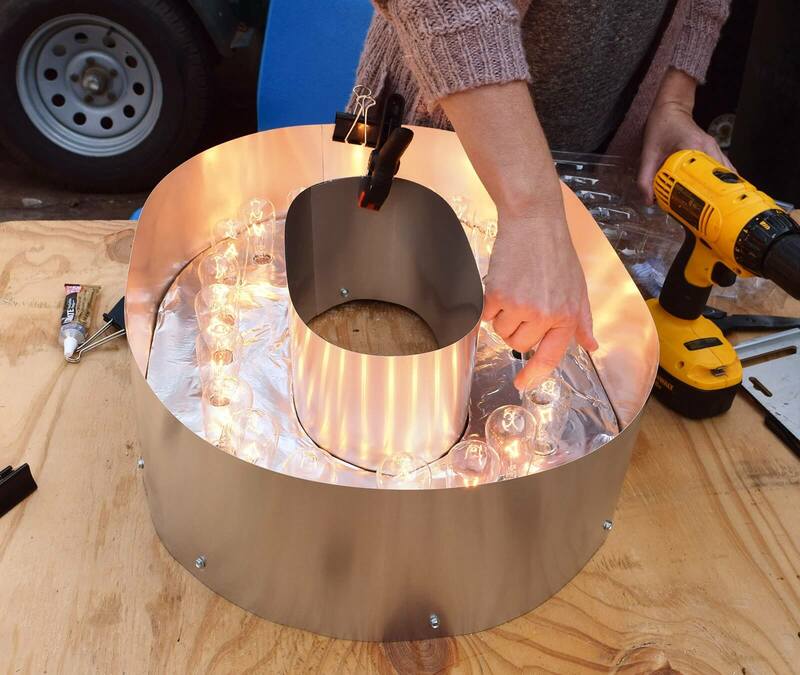 Using your craft knife cut the foil away for each of the lights. Hey! Remember that case? I made it with The Ultimate ages ago and my dad keeps it easily accessible. It's lost only a single nut with all of that wear and tear. Nifty, right? The size of your flashing will be dictated by the size of your letters. 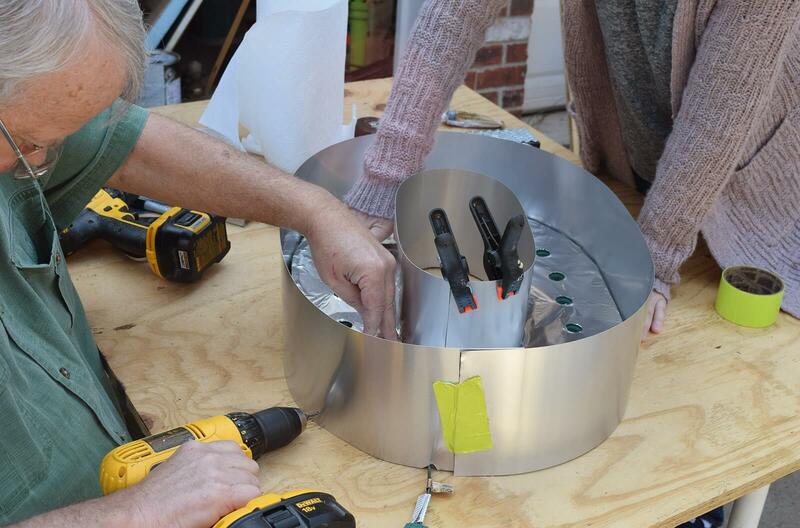 Since ours are large and our light bulbs are quite tall we went with 8" aluminum but choose according to size. 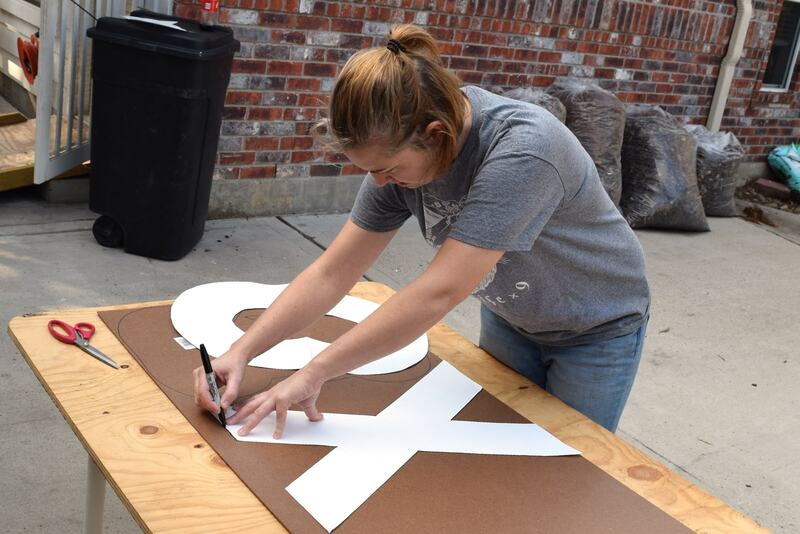 Around curvy letters like this "O" cut a piece that will wrap around the entire letter. Cut an access point for the electrical cord as needed. Apply a dot of The Ultimate to each support, or every few inches. 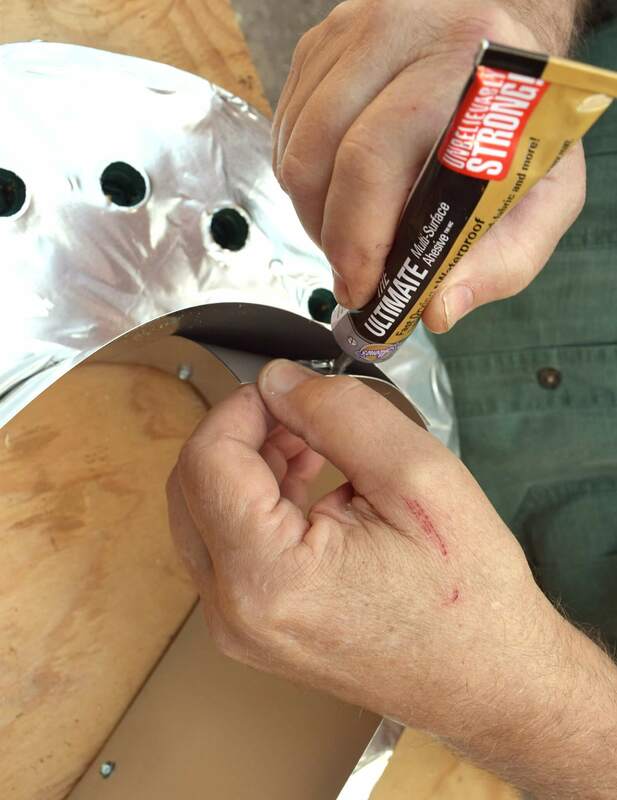 Wrap the flashing around the shape and use strong tape to hold it in place. 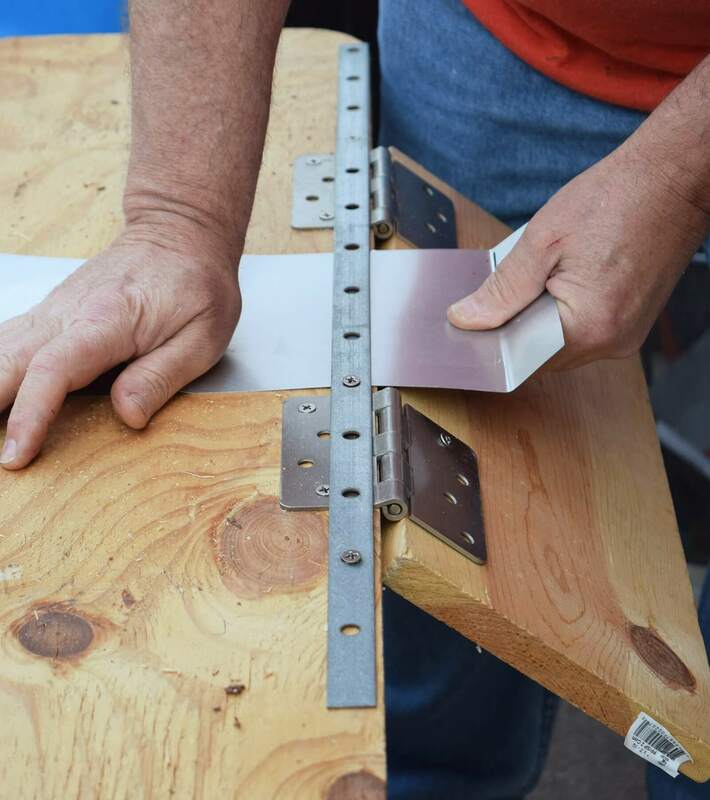 Apply The Ultimate inside of seams to help keep the edging sturdy. 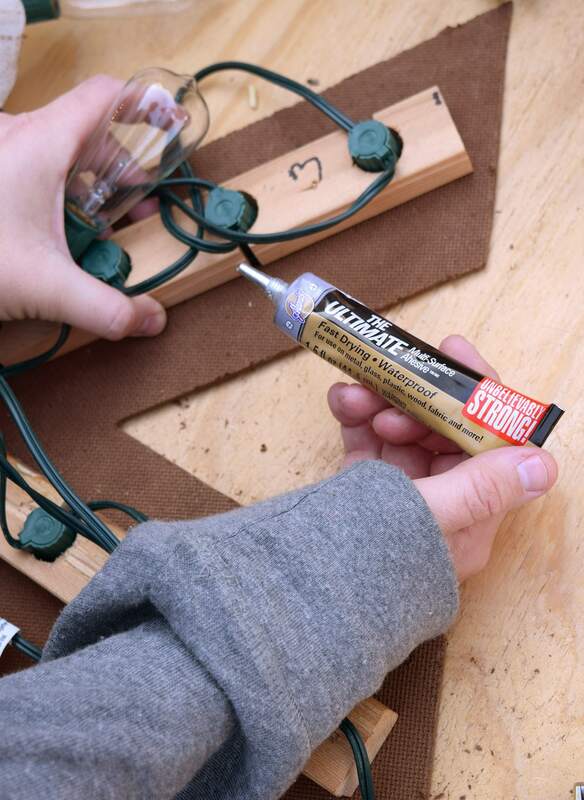 Use tape, again, or clamps to hold the flashing together and allow the glue to set up, at least a few hours. 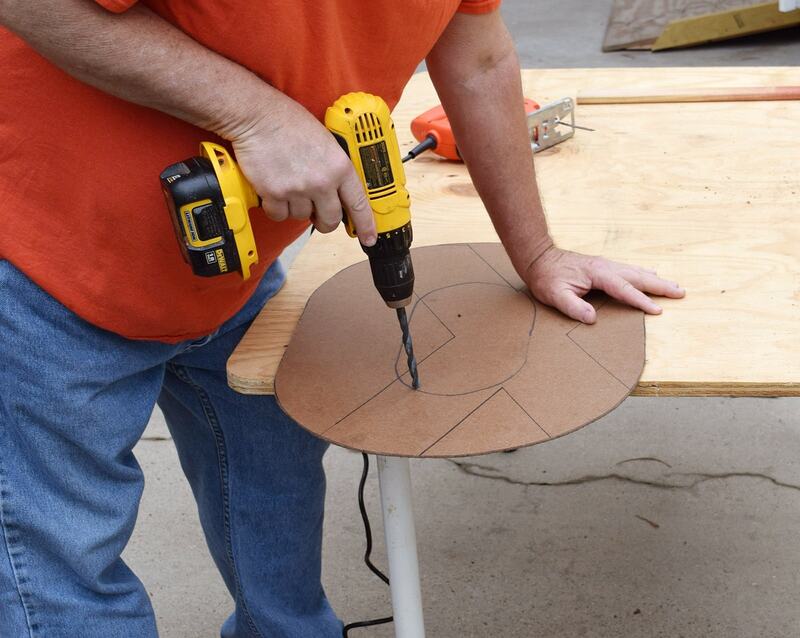 Using a drill bit slightly smaller than your screws pre-drill a hole through the flashing and into a support. 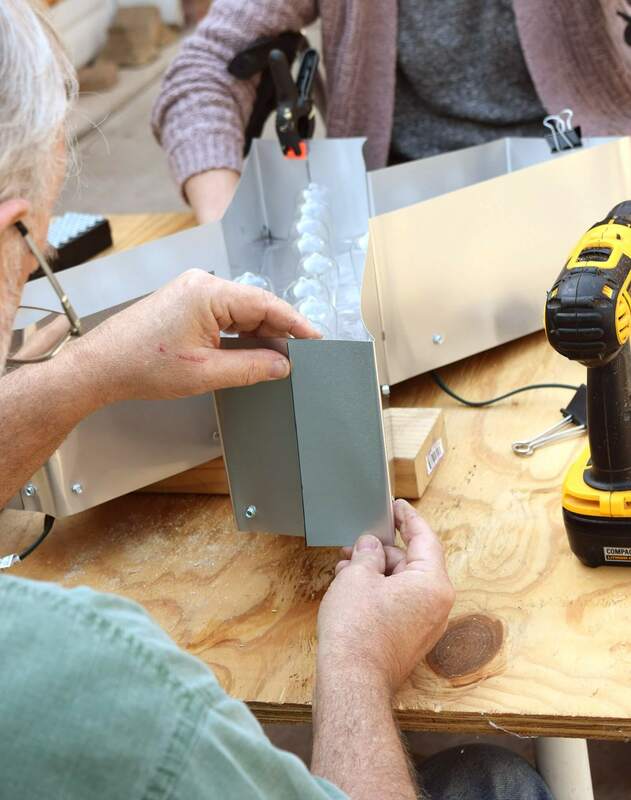 Follow by attaching the metal with a screw for an even sturdier lip. It helps if you have assistance holding the letter as you drill because aluminum needs a good amount of pressure to get through the metal. 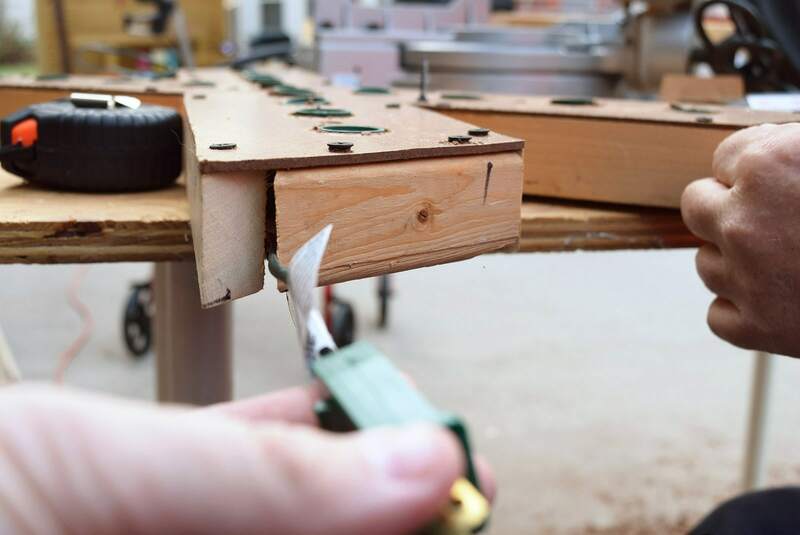 Take care to drill into the wood frame and not into any gaps you might have as the metal to air won't help keep the piece together. Add your lights and this guy is done! 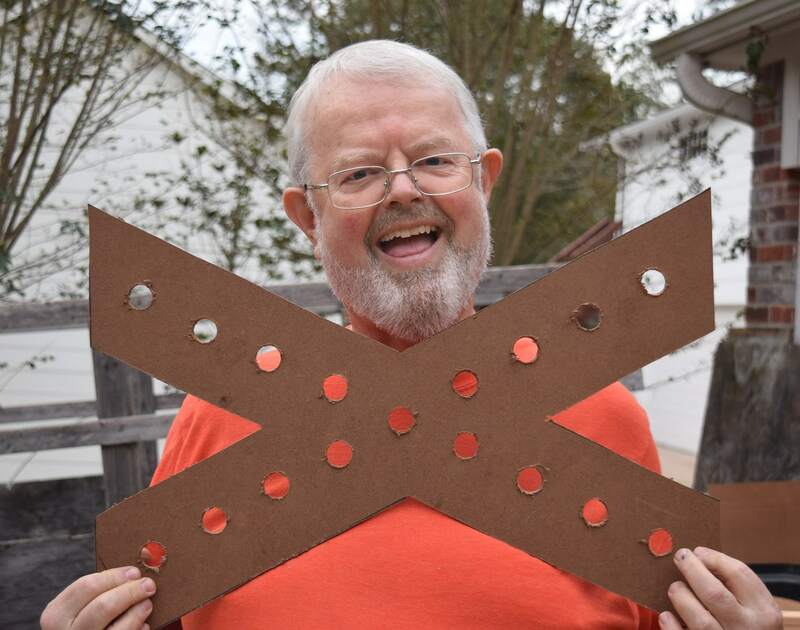 For letters that have corners, like our "X" my dad made a metal break using a mending strip, door hinges and a piece of scrap wood screwed into his workbench. This is optional but will give you nice, sharp creases in the metal. When working with shapes with lots of edges it is advisable to work in pieces rather than trying to form one piece to fit perfectly. Getting the corners to play nice is quite difficult unless you work in these smaller pieces. Now check that out! 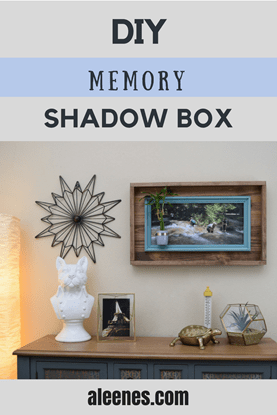 From start to finish this project was my dad's planning and hard work and he gave up quite a bit of time during our Thanksgiving holiday so that we could make this project for you today. Isn't he the best? You can stand your letters up on a table or the floor or you can add picture wire to the back to hang. 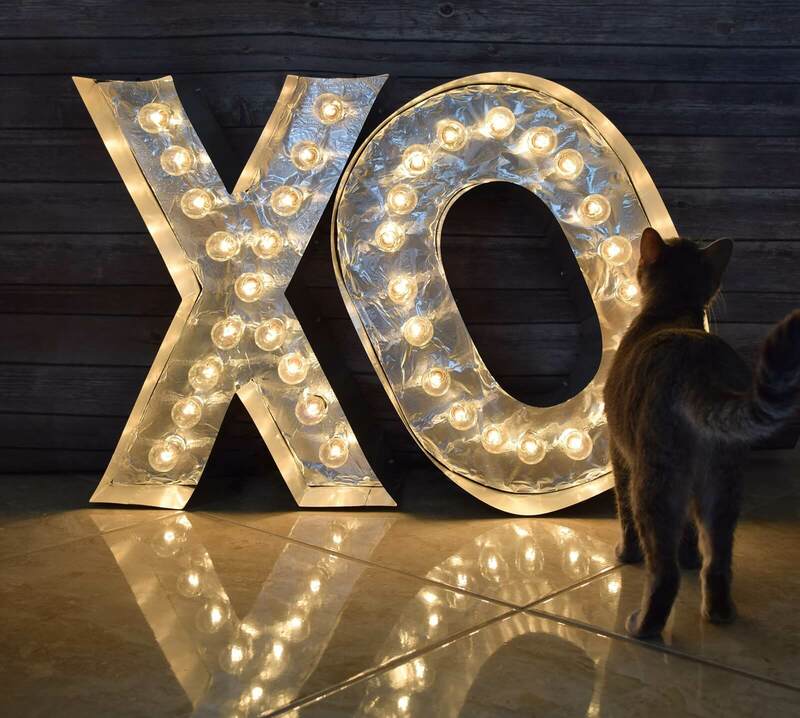 With the aluminum foil these letters are exceptionally reflective and they can almost entirely light up my bedroom by themselves. But feel free to make your design accordingly. 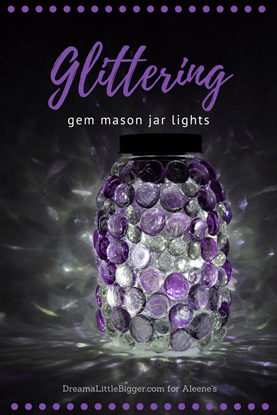 You can glitter the hardboard or paint it a pretty color! You can paint the outer edges of the flashing or use lots and lots of screws for a very industrial riveted look. And the best thing? The cost! 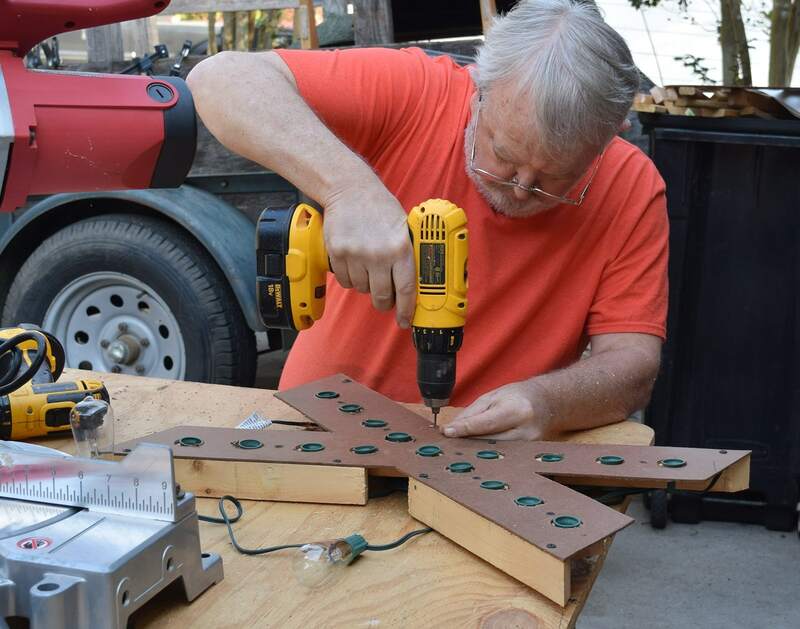 With an approximate cost of $9 for hardboard (with half a sheet left over), $7 for 6-inch flashing - or $15 for 8-inch - (over half a roll left), $20 for lights and another $6 for furring strips you're saving big money at $42-60 per two letters. That's $21-30 apiece. Not bad, not bad at all!